Jack White will be back this Fall! During his Canadian tour, Jack White will be stopping by the Place Bell in Laval on November 10th, 2018, before heading out to Quebec City for a show at Centre Vidéotron on November 12th. Don't miss the return of the former White Stripes leader, who just released a new album entitled Boarding House Reach last March. 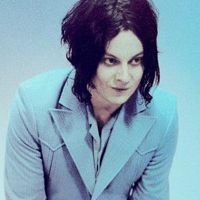 If there's one rock'n'roll artist who never lets his fans down, it's Jack White!